White root disease caused by the pathogenic Rigidoporus microporus (Sw.) Overeem, in rubber trees (Hevea brasiliensis Muell. Arg.) 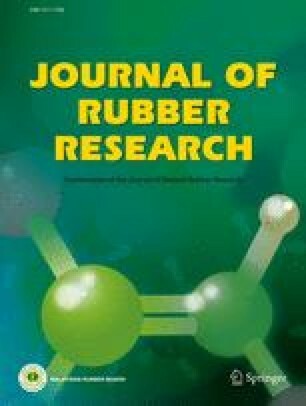 could limit latex production by reducing the number of productive rubber trees. Fungicolous ascomycetous Cladobotryum semicirculare G.R.W. Arnold, R. Kirschner & Chee J. Chen, was assessed for its capability of suppressing Rigidoporus microporus mycelia growth in vitro and its efficacy in reducing white root disease of rubber seedlings. Mycelia growth of Rigidoporus microporus was inhibited by Cladobotryum semicirculare mycelia (direct antagonism) with 79% inhibition at nine days-after-inoculation through a dual — culture assay and heat stable antifungal Cladobotryum semicirculare filtrates (exudates sterilised through either filter-sterilisation or autoclaving — antibiosis) followed by the poison agar test. Cladobotryum semicirculare was also found to reduce the regeneration of Rigidoporus microporus mycelia. Area under the disease progress curve, calculated using disease severity of white root disease, were reduced by 47 to 50% through application of Cladobotryum semicirculare inoculant on two separate scion-rootstocks (PB 350 — RRIM 2025 and PB 347 — RRIM 2025) combinations of rubber clones, respectively. There was no scion-rootstock interaction observed.